A road trip can be an experience that defines your life. On your own, it gives you all the time you need to think while you visit all the great landmarks on your list. With a group of friends, it can be the experience you all never forget, and one that you never let your friends who didn’t go with ever forget either. But what if I told you that if you ignored all your obligations and responsibilities, that you could travel across the country throughout the spring, summer, and fall, and attend all the best esports events that are taking place in the United States this year? You can, on the Great American eSports Tour! Have no idea what I’m talking about? Fear not, I’ve mapped it all out for you below. We begin our trip at the end of March/beginning of April, not on the east or west coast, but in the eastern side of the Midwest: Columbus, OH. While the Michigan Wolverines fan in me is inclined to despise the city of Columbus because in it resides the university-that-shall-not-be-named, I can’t help but be excited for the first Valve-sponsored CS:GO major to take place on American shores. And MLG Columbus will be the first Valve-sponsored major to feature a $1 million prize pool, with all majors afterwards also boasting a $1 million pot. It’s not just that trophy that’s on the line; the 1st place finisher takes home $500,000. 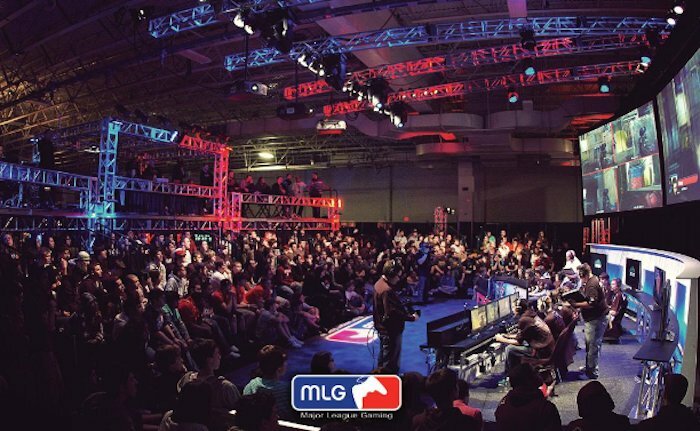 The United States will be well represented at MLG Columbus. Despite no North American teams receiving any direct invites to the major, (because no NA teams finished in the top eight at the last major), four US teams still qualified for the major at the offline qualifier event at the end of February. Notable US teams Cloud 9, Team Liquid and Counter Logic Gaming, as well as the American surprise at the qualifiers, Splyce, will all compete for the largest prize pool in CS:GO history in front of their American fans. Despite the home crowd advantage, the US teams are still the underdogs compared to their competitors—teams that are synonymous with winning and dominance in Counter-Strike: Fnatic, EnVyUs, Na’Vi, Ninjas in Pyjamas, and more. The Super Bowl of Smash Bros. The Mecca of Mortal Kombat. The final stage of a fighting games competitor’s journey. The Evolution Championship Series is the biggest and longest-running series of fighting games tournaments in the scene. The tournament has been around since 1996, when it was first known as the Battle by the Bay series and took place in San Francisco. In 2002, the tournament’s name was changed to Evolution, shortened to EVO, and moved to Vegas shortly after. Coming up on its 20th anniversary, the series has grown to unexpected heights. Last year’s event shattered Twitch viewership numbers for fighting games, with almost 4 million unique viewers watching, and almost a quarter million watching at once at its peak. What’s amazing about Evo, and about the fighting games scene in general, is that I don’t know of another esports scene where so much emotion and hype is displayed so regularly, and not just by players, but by the fans and by casters too. Whether your game is Smash Bros., Street Fighter, Mortal Kombat, Marvel vs Capcom, or something else, you’re guaranteed to see something pretty special at the Las Vegas Convention Center this summer. And that’s no gamble. The Dota 2 International Championships, known simply as the International or TI, is the crown jewel of North American esports events. The past two Internationals have blown away the record for largest event prize pool in esports, with the 2014 tournament boasting an $11 million pool, and last year’s sporting an $18 million pool. While almost 4 million people in total tuned in to watch last year’s EVO finals, over 4 million were watching the finals of last year’s International at the same time. And those 4 million plus got to hear one of the best commentator calls in esports history: TobiWan. Competitive League of Legends is leaps and bounds ahead of the other esports events in terms of viewership. I’ve mentioned that 4 million viewers number earlier for other events, but last year’s LoL World Championships averaged over 4 million viewers at any time across the five week event. The grand finals between SK Telecom T1 and the KOO Tigers drew 36 million unique viewers. And now the grandest, most watched stage in esports is going on its own American tour. It’s almost fitting that the World Championships are coming to the US, given how much attention the North American LoL scene has received this season and during the prior offseason. The famed Team SoloMid roster was destroyed and then rebuilt. There’s been an influx of international talent to make the region more competitive. And new organizations like Immortals, NRG, and EchoFox have made big splashes in the scene. The only thing that’s eluded the NA scene is a North American world champion. Maybe this year, an NA team will win it on their home turf. 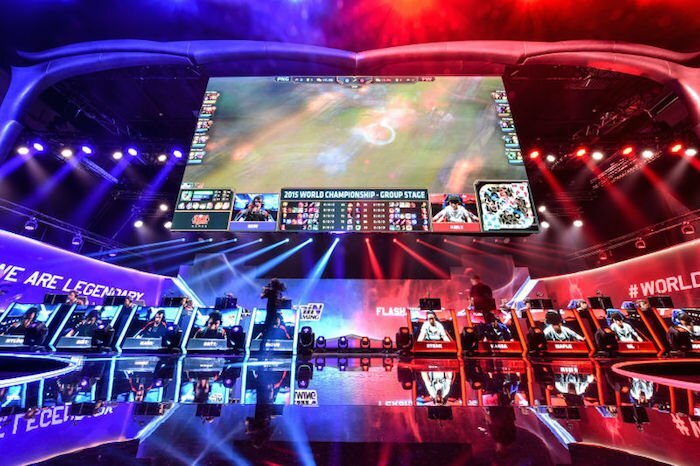 Your American esports experience/extravaganza isn’t limited just to these events. There’s also the spring playoffs for the North American League Championship Series in Las Vegas in April. There’s the Call of Duty World League Championship, which has yet to have its location revealed, but its in the fall and I believe it’s in America. And if you’re not the cross-country driving type, there are tons of local amateur tournaments in your area for all types of games. You can even compete yourself. As esports continues to grow, it’s only fitting that the country that’s almost undoubtedly the leader in the world of sports also becomes the leader in esports. It’s already happening, and it’s only going to get bigger.